“Don’t just sell shoes. Solve Problems.” That’s the pitch Somnio Running, a new company in Santa Cruz, Calif., gives retailers when talking about its line of high-end running shoes, which debuted in May 2009 for about $125. Touted as the world’s first “truly customizable” running shoes, Somnio’s three debut models can be tweaked and adjusted in a shop to match a runner’s unique anatomy and biomechanics. “It’s like a bike fit for your feet,” said Sean Sullivan, the company founder and a bike industry veteran. 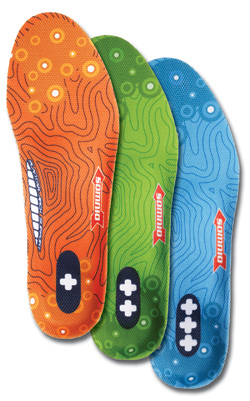 The secret sauce in Somnio’s (www.somniorunning.com) system includes three types of footbeds; cushion inserts with differing densities for the heel and forefoot areas; and varus wedge inserts made to help align the foot and lower leg. 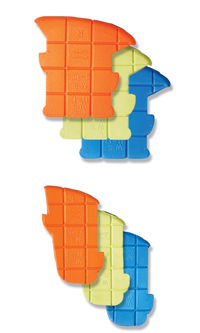 In total, when mixed and matched these components and custom configurations can create 648 unique shoe types, including different setups for the right and left foot. 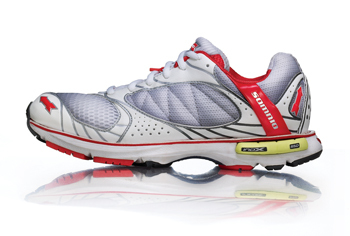 “In five years, this could be the way most people will buy running footwear,” Sullivan asserted. I was fitted for a pair of Somnio shoes earlier this month at the Boulder Center for Sports Medicine in Boulder, Colo., where Dr. Andy Pruitt, an internationally-known athletic trainer, was hired as a consultant to help develop and refine the Somnio system. My custom shoes — assembled after a 10-minute treadmill run and a foot analyzation on Somnio’s measuring device — were made to help me correct a pronation problem and better align my ankles and hips. Arch comfort, leg alignment, cushioning, foot strike, and pronation control are among the benefits a Somnio customer might find. The company touts its shoes as making a runner more efficient, more comfortable, faster, and less prone to injury.